ROBERT BRIGGS was born April 19, 1920 to Mary and Clarence Briggs. 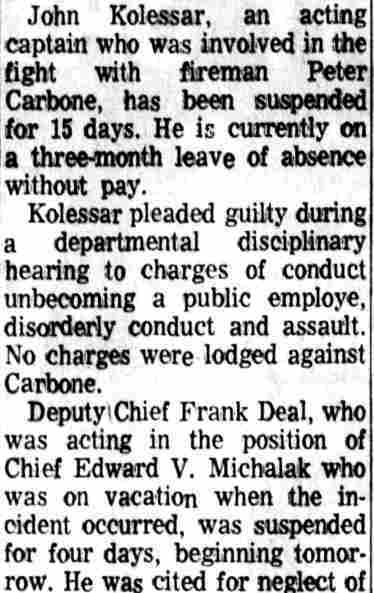 He joined the Camden Fire Department on March 1, 1954, after having served for 11 months with the Camden Police Department. 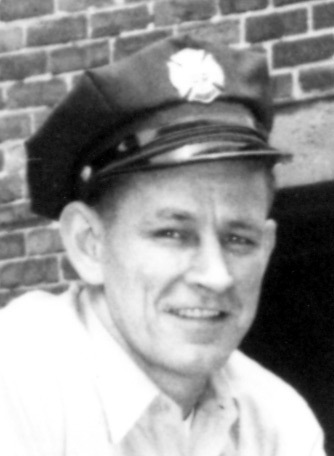 Robert Briggs was promoted to Captain on November 1, 1969. By that time he had moved to Bellmawr, New Jersey. 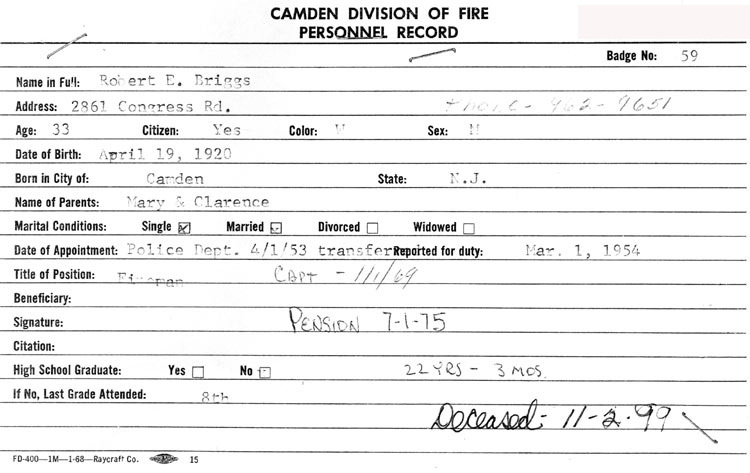 Captain Briggs retired from the Camden Fire Department on July 1, 1975. 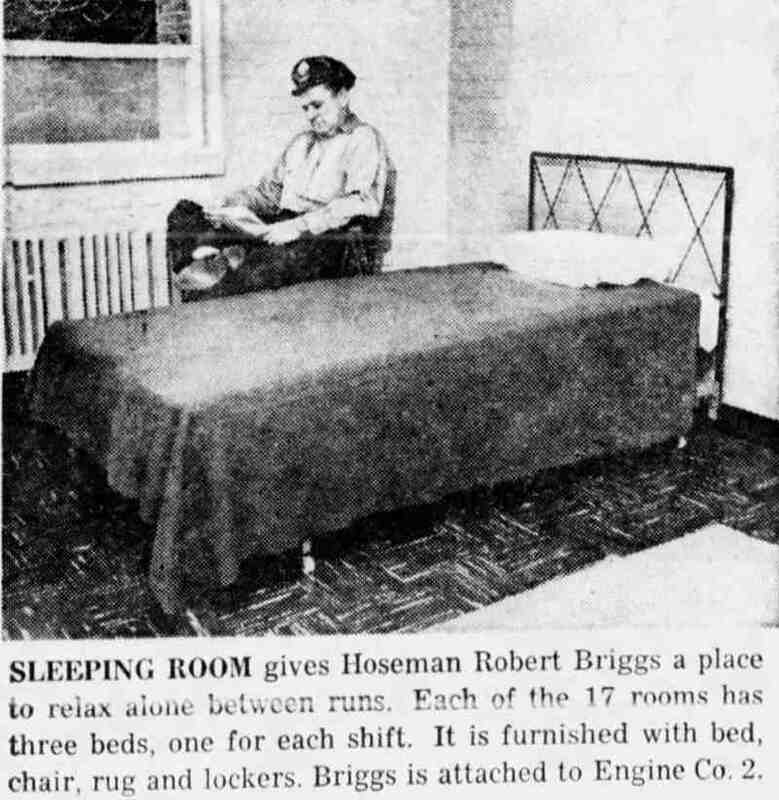 Last a resident of Bellmawr Robert Briggs passed away on September 24, 1999. 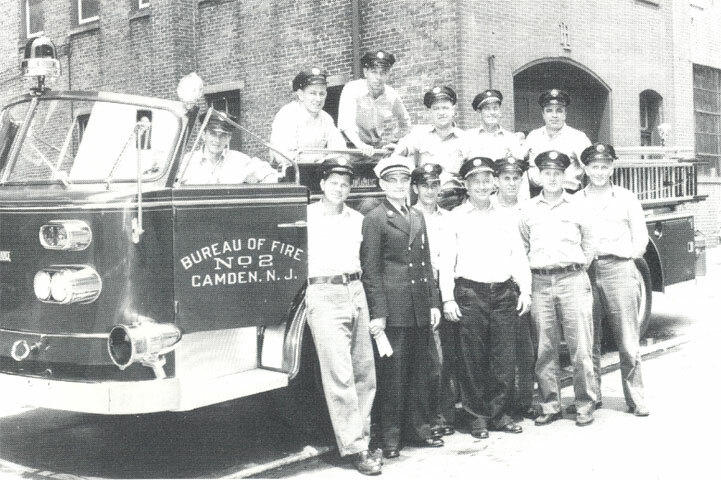 Bottom row, from left: Fireman Harrison MacNeir, Chief Edward MacDowell, Fireman James Troutman, Captain Albert Weller, Fireman Charles Devlin, Fireman William Hopkins, Fireman George Hennessey; Top row, left to right: Fireman Francis Stibi, Fireman Robert Briggs, Fireman Bertram Dahl, Fireman Erwin Brennan, Captain Thomas Winstanley, Fireman Anthony Orme..
SLEEPING ROOM gives Hoseman Robert Briggs a place to relax alone between runs. 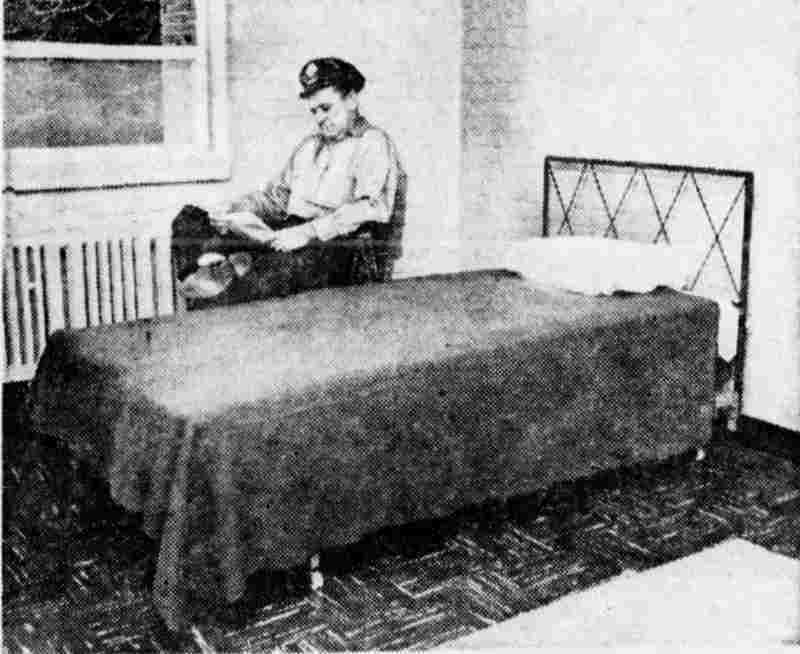 Each of the 17 rooms has three beds, one for each shift. It is furnished with a bed, chair, rug and lockers. Briggs is attached to Engine Company 2. 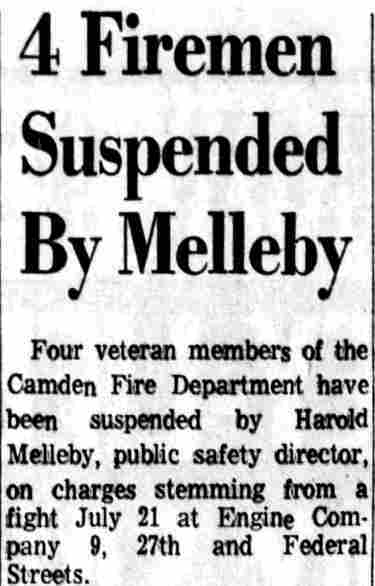 In a move aimed at staffing the Camden Fire Department for a new 42-hour work week. 25 probationary firemen will be graduated from the city fire academy Monday and 10 fire officers will be given promotions Tuesday. Heading the list of fire officer promotions will be the selection of Battalion Chief Anthony C. Saponare, 51, of 117 S. 27th Street, Camden, as deputy fire chief. The new deputy chief is a 26-year veteran on the city fire force. Two fire captains to be promoted to battalion chief are Matthew J. Davies, Jr., 36, of 2819 Carman Street, Camden, and James H. Stewart, 54, of 317 Garden Avenue, Camden. Seven firemen to be named captains include William D. Hillman. 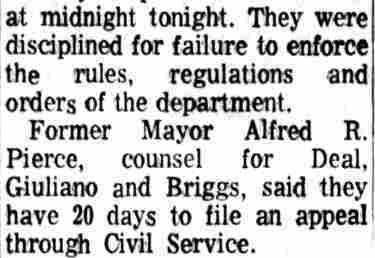 29, of 11 Crestfair Apartments, Camden; Joseph H. Arensberg, 32, of 1041 N. 32nd Street, Camden; Robert E. Briggs, 48, of 2861 Congress Road, Camden; and John Brzozowski, 28, 371 N. 34th Street, Camden. Also to be named captains are Edmund F. Gorczynski, 36, of 272 N. 33rd Street, Camden; Anthony T. Orme, 44, 3317 River Road, Camden; and William B. Young, 29, of 1126 N. 33rd Street, Camden. The new firemen include Richard E. Johnson, Thomas H. Eckel, Ronald C. Crowder, John A. DeLuca, Peter P. Carbone, Robert P. Hand, Robert M. Lapp, Jerome A. Kee, Thomas V. Kane, Charles E. Mayo, James C. Peterson and George S. Szychulski, all of Camden. 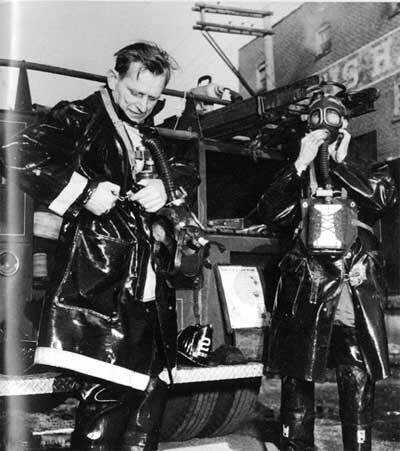 Other slated fire school graduates are Ronald Angemi, Robert C. Welch, Robert G. Boyle, Glenn H. Moore, Marvin W. Bendy, Thomas J. DiBiaso, Arthur J. Gibson, Daniel J. Galasso, Samuel Battle Jr., Ronald J. Boyle, Jerome J. Watson, George R. Abbey, 3rd., and William H. Huelas, all of Camden. 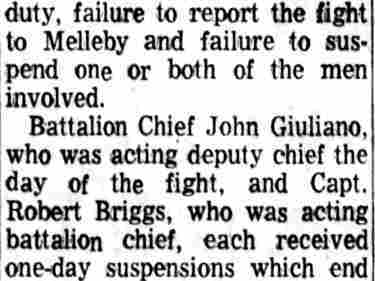 The appointments of all 35 men become effective Jan. 1, 1969.